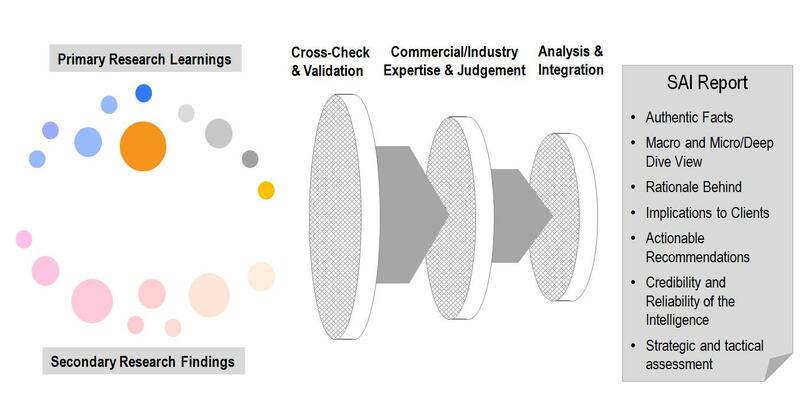 SAI’s industrial expertise and primary research capability ensures quality insight. 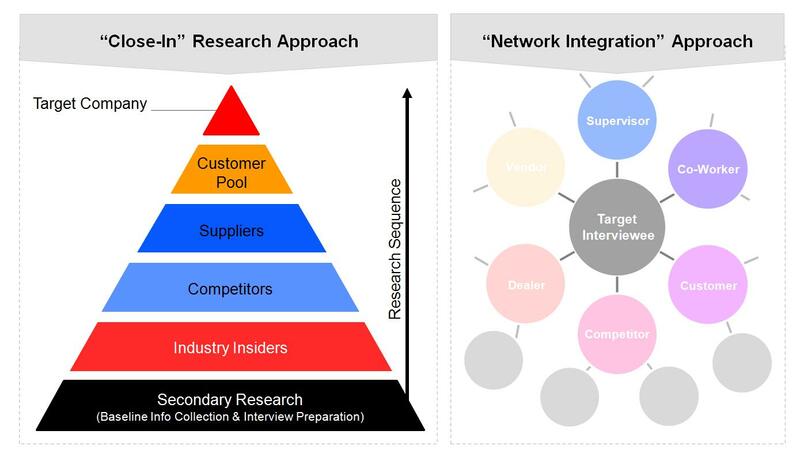 SAI has global and on-site network established via its operation of over 25 years in China and Asia, and 38 years in US and Europe. 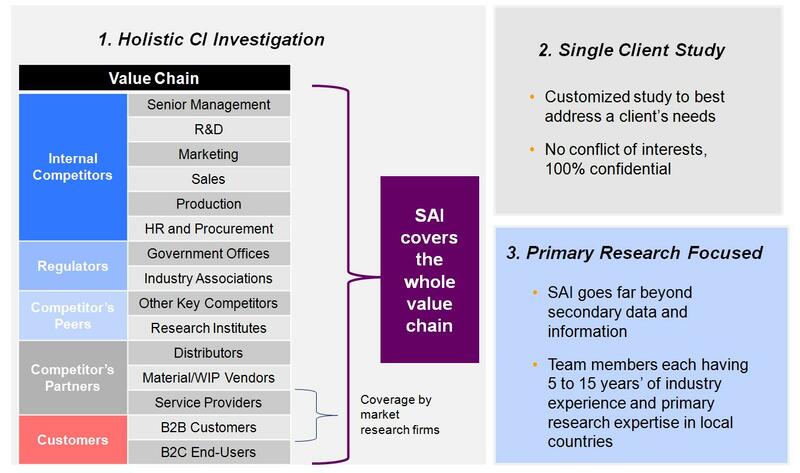 SAI’s leadership in market and industry intelligence comes from three differentiators: Holistic CI Investigation, Single Client Study and Primary Research Focus.